McFarland & Company, 9780786479276, 232pp. 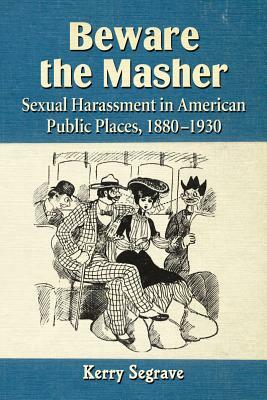 This book examines the history of sexual harassment in America's public places, such as on the streets and on public transit vehicles, in the period 1880 to 1930. Such behavior was referred to then as mashing with the harasser most commonly being called a masher. It began around 1880 as a response to the women's movement as females in America increased their efforts to gain more freedom of movement and greater independence. Women going out and about on their own, or only with other women, threatened male dominance and control of society. One response by men was to turn to the sexual harassment of those women when they were alone in public places. This book looks at the extent of the problem, editorial opinions on the subject, the tendency to blame the victim, and the responses of women in the streets to the harassment. As well, the actions and reactions of the courts and the actions and reactions of the police are studied. Much of the sexual harassment of this period took place in the daytime hours, in busy areas of cities.